Integration with iTunes. 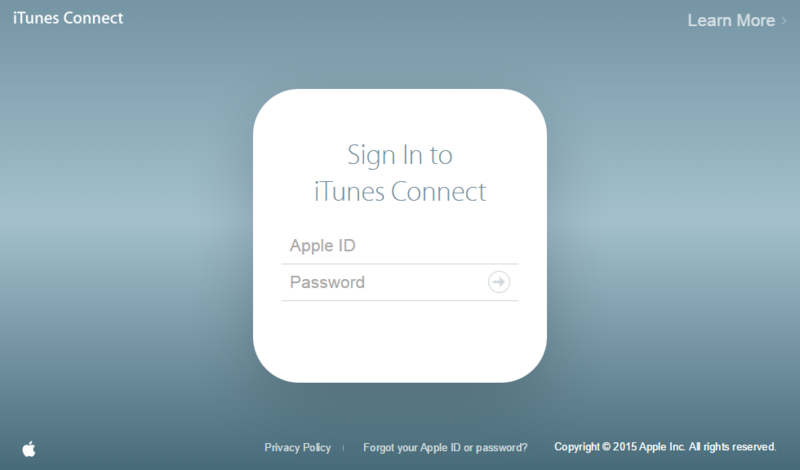 Adding iTunes Connect account with limited access. 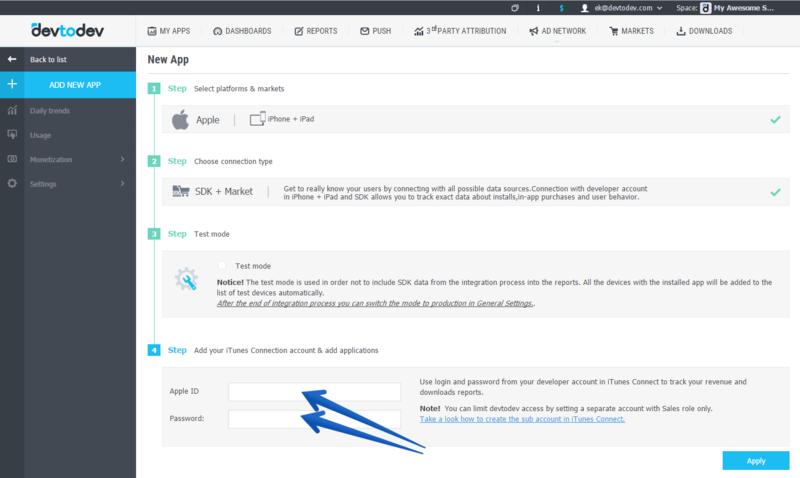 Follow this step-by-step to set up an iTunes Connect account and link it to your devtodev account. Click on Users and Roles option. The team agent can create the additional users or can create a user with an Admin role who can create additional users. Select iTunes Connect User bookmark. If the button doesn’t appear, you don’t have access to create iTunes Connect users. 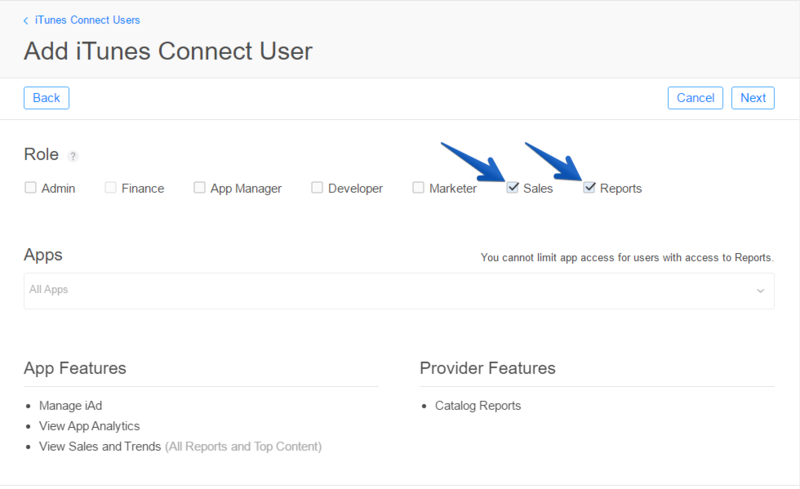 The team agent, or an Admin user, needs to create the new user or update your roles to allow you to create new users. Fill in all required fields and click Next button. 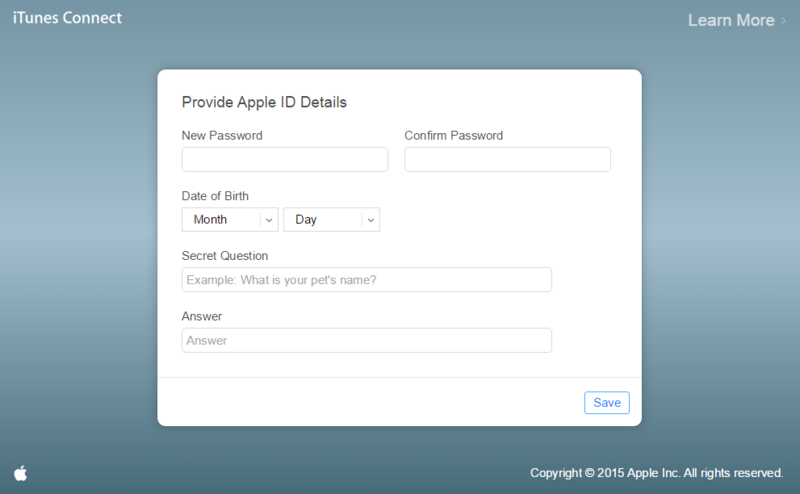 The address specified must be valid to activate the account; the user receives an email as a confirmation. 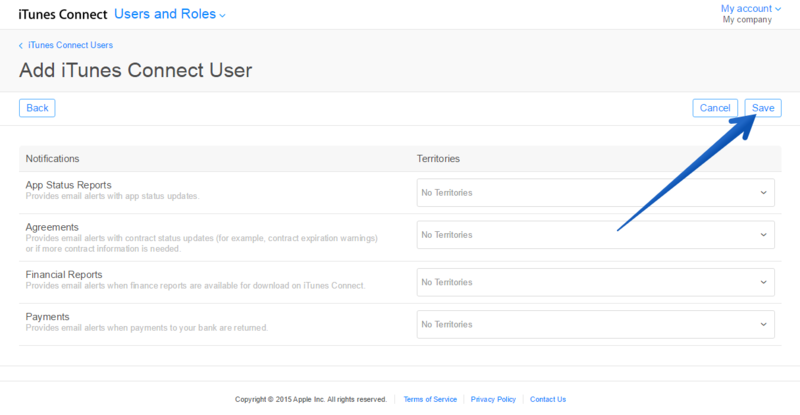 Select the notification types assigned to this user by territory. Notifications specify which email alerts a user receives. You can set notifications by the type of change and by the territories that the change affects. 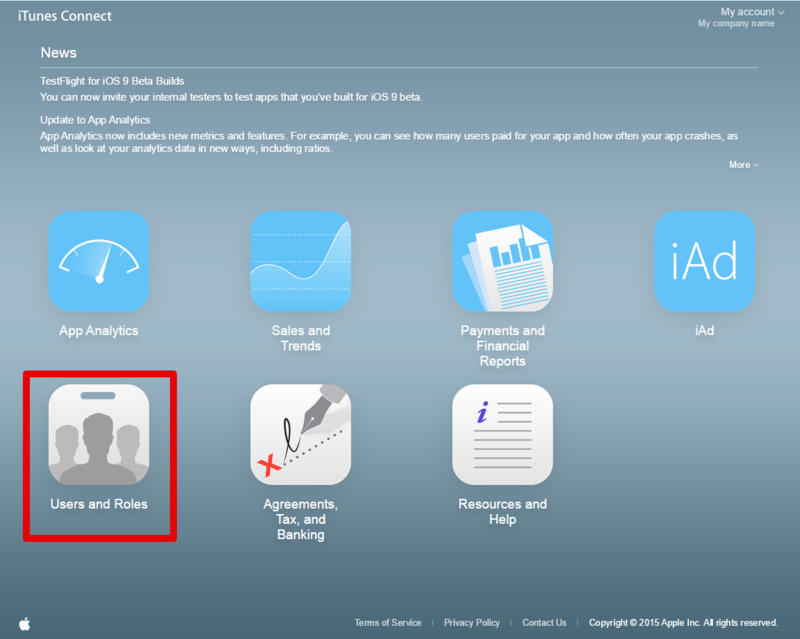 The new user receives an email from the iTunes Store that includes a link to activate the account. Fill in and save the password information for the sales only account. 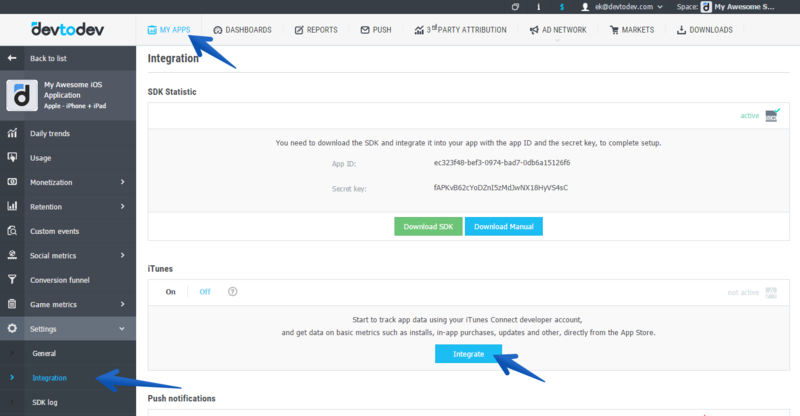 To integrate the previously added project with iTunes Connect.